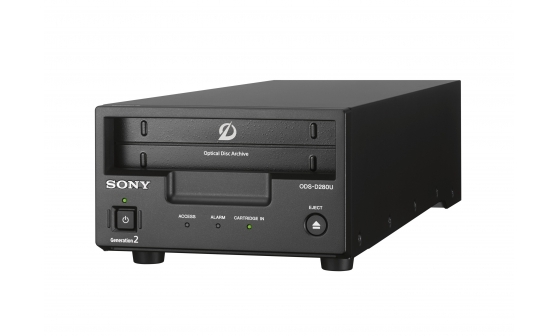 Sony’s Optical Disc Archive stand-alone drives offer flexible options for long-term archive and news and broadcast operations. ODS-D77UA has very high transfer speeds. Read is 1.1Gbps. Write-once is 440 Mbps and Rewritable is 160 Mbps (verify on). Performance varies based on type of cartridge.